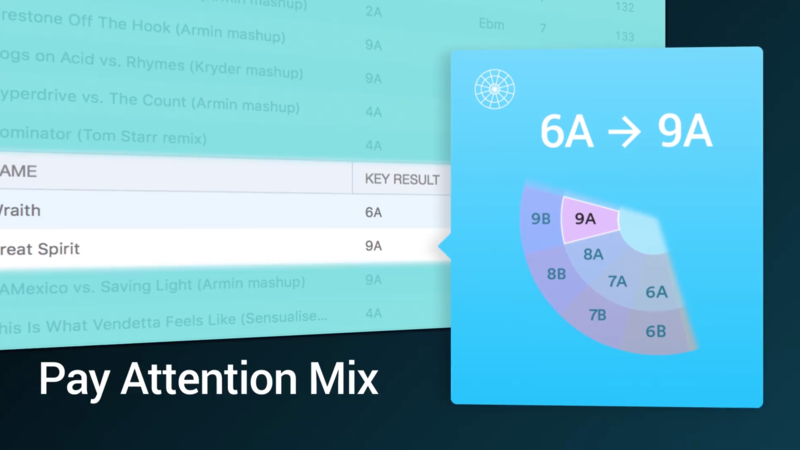 Our friends over at Mixed in Key and Odesi have analyzed Armin van Buuren‘s DJ set from Ultra 2017 and it turns out he uses harmonic mixing in non traditional ways. They took his DJ set at Ultra Miami 2007 and broke it down into individual tracks that were then analyzed for it’s key signature. If you’re not familiar with harmonic mixing, we suggest you read this review of Mixed in Key to give you a bit of a head start. For the rest that already know how this works, lets have a the camelot chart down for reference. Doing this non traditional key jump, he manages to create a very intense moment, switching -5 or +7 on the camelot wheel adds a sense of drama that the guys over at Mixed in Key have dubbed the it the Jaws Mix. Although they are clashing keys, he makes it work without having the harmonic parts play over each other. He also jumps the energy meter from 7 to 8 as analyzed by Mixed in Key, I however am not a big fan of the energy level meter, I can’t quite seem to figure on what basis it draws up those numbers. Without the need for another crazy harmonic jump, he plays it safe by making a very commonly used move on the wheel, the +1 which is a perfect 5th from the current key. The prefect 5th is the note in the scale that sounds closest to the root note. It’s like going through the center of the harmonic wheel and coming out on the other side, to give you more context, going from 12A to 6A or 3A to 9A. It feels unexpected and surprising, once again this is a very well executed mix with great track selection as this track is bout 8A/2A. I have to say though that a lot of this non-traditional techniques won’t work with just applying these rules, its important to take into consideration other aspects of the music like it’s mood, timbre, structure and place in the DJ set, and obviously reading the room. They will most definitely not work if you’re making drastic genre or BPM switches, notice how all his tracks fit into a similar palette of sound and a tempo range.